The Senate Judiciary Committee has rescheduled a vote on embattled Supreme Court Brett Kavanaugh for Friday, one day after the committee expects to hear from Kavanaugh and one of his accusers, Christine Blasey Ford. Earlier Tuesday, after Kavanaugh publicly denied ever sexually assaulting "anyone", the White House said it would be "open" to hearing from Kavanaugh's latest accuser, Deborah Ramirez, and it could happen as soon as Thursday. "Certainly we would be open to that and that process could take place on Thursday. Again, the president's been clear, let them speak but let's let Brett Kavanaugh speak and let's let him tell his side of the story before we allow allegations to determine his entire future," White House Press Secretary Sarah Huckabee Sanders said on ABC's "Good Morning America" on Tuesday when asked if the president wants Ramirez to appear before the Senate Judiciary Committee. According to The New Yorker, 53-year-old Ramirez alleges that Kavanaugh exposed himself to her at a party when they were both students at Yale University in the 1980s. Sen. Amy Klobuchar claims other witnesses, accusers being "shut out." This comes as Kavanaugh is set to testify once again before lawmakers on Thursday on the allegations against him. His accuser, Christine Blasey Ford, will testify before him in the open session. The Senate Judiciary Committee has laid out the format for the hearing with Ford and Kavanaugh on Thursday, CBS News has confirmed. Committee Chairman Chuck Grassley and the committee's ranking member, Sen. Dianne Feinstein, will give opening statements. Senators will then get five minutes to question the witness, and may yield to another senator or a special counsel. Democrats are expected to ask questions, while Republicans are likely to defer to a special counsel. Twitter user Stephen Kantrowitz claimed Tuesday morning that he took issue with Kavanaugh's claim to Fox News Monday that he was a virgin in high school and for many years after that. Kantrowitz said Kavanaugh "claimed otherwise in a conversation with me during our freshman year in Lawrence Hall ... in the living room of my suite." In a statement provided to CBS News, Kantrowitz explained his tweet further, saying he recalls the conversation because it was the first time he had experienced such a conversation with a mere acquaintance. 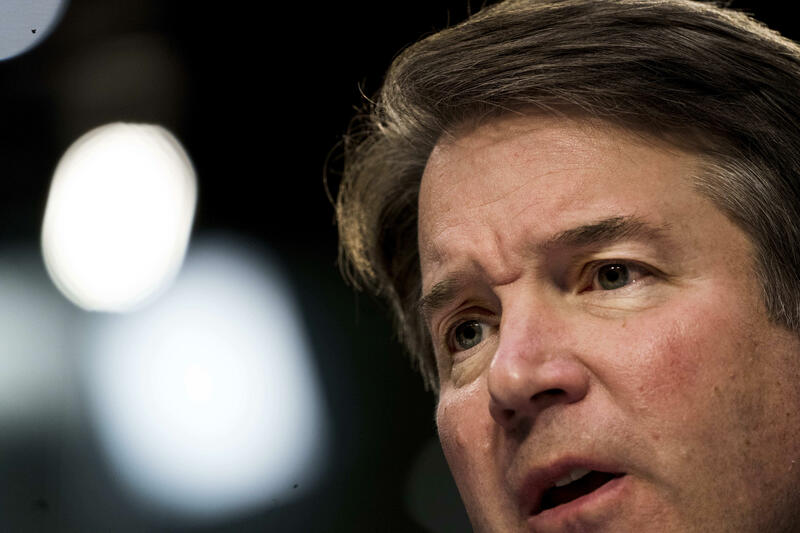 "I felt compelled to reveal a private conversation I had with a classmate in our freshman year at Yale because of the tremendous importance of honesty and integrity to serving as a Justice of the Supreme Court," he said in the statement. "My conversation with Brett Kavanaugh raises doubt about a statement he made on September 24 on national television. Contrary to his assertion that he remained a virgin 'for many years' after high school, during our freshman year he described losing his virginity. I remember this distinctly because it was the first time I had had such a conversation with an acquaintance who was not a friend. I have no first-hand knowledge of any of the allegations against Judge Kavanaugh, but I thought this conversation was relevant as it goes to the question of his truthfulness." Kantrowitz said he won't comment any further on the matter. Late Tuesday, the committee rescheduled a vote on Kavanaugh's nomination for 9:30 a.m. Friday. That will be less than 24 hours after the committee expects to hear from Ford and Kavanaugh. Sen. Jim Inhofe, R-Oklahoma, suggested to CBS News' Nancy Cordes that Kavanaugh's accusers might have made up their allegations of sexual assault. "They had a little help, I have a feeling," he told Cordes. He added, "accusations are being made about things that didn't happen and I think it's very unfortunate." Senate Republican Judiciary spokesperson, George Hartmann, confirmed that committee Republicans have hired an independent attorney to question Dr. Blasey Ford. The committee will not yet be naming her. Graham calls second Kavanaugh allegation "ridiculous"
"I think Brett Kavanaugh is a fine man. Ms. Ford, there's no doubt in my mind, something probably happened to her. But I can say this with certainty: the allegation against Judge Kavanaugh you could not even get out of the batter's box in the legal system," Sen. Lindsey Graham told CBS News' Nancy Cordes on Tuesday. Graham added that he will "respectfully listen" to Ford's testimony on Thursday, "but if there's nothing new here, I am not going to deny him a promotion to the Supreme Court based on a 35-year-old accusation where all the facts that we do know about suggest it didn't happen the way described." Sen. Orrin Hatch, R-Utah called for cooler heads to prevail as the Kavanaugh confirmation process continues, telling reporters, "We all have to be careful. Even I said some injudicious remarks that I wish I hadn't said. So we're going to have to sit and listen and hear both sides and go from there. That's about the extent of what we can do." Hatch on Monday warned of "phony accusations" in the wake of more accusers stepping forward against Kavanaugh and latet suggested that Democrats were to blame, saying, it's not unusual "for our friends on the other side to pull that kind of crap." Meanwhile, Hatch said that it was a "wise thing" for the Republicans to have an independent questioner present for Thursday's hearing with Kavanaugh's accuser Christine Blasey Ford and that the "witness should not be uncomfortable." He did not know, however, who the independent questioner would be. Trump: "This is a con game being played by the Democrats"
President Trump issued perhaps his harshest criticism of the Kavanaugh allegations to date on the sidelines of the United Nations General Assembly on Tuesday. During a meeting with President Marquez of Colombia, Mr. Trump blamed Democrats for playing a "con game" with the various allegations against Kavanaugh. Trump on Kavanaugh allegations: "This is a con game being played by the Democrats"
"They don't belive it themselves, they know he's a high-quality person, it's just resist and obstruct, they're playing a con game and they play it very well," said Mr. Trump. He added, "They know he's high quality and they wink at each other, they're winking and they know its a con game." The president also cast doubt on Deborah Ramirez's account of her encounter with Kavanaugh at Yale University, saying her story had "gaps" and that she was "totally inebriated" and "all messed up." "She has nothing," Mr. Trump added of Ramirez. Senate Minority Leader Chuck Schumer on Tuesday called out Majority Leader Mitch McConnell for his comments on the Senate floor where he blamed Democrats for "aiding and abetting" a "shameful smear campaign" against Kavanaugh. Schumer said that McConnell owed Ford an apology for labeling her allegations as such. "We've come a long way in this country and we have to be better than that, better than the low, low, low standard that Senator McConnell has set. At a minimum, we must respect these women and Judge Kavanaugh by handling these allegations with the seriousness that they deserve. Madam President, Leader McConnell owes an apology to Dr. Ford for labeling her allegations a 'smear job,'" said Schumer. He added, "It is galling, galling for the Republican leader, who has done more than maybe anyone to politicize the Supreme Court nomination process, to make these trumped up, hyperbolic charges of partisanship by Democrats." Republican Sen. Lisa Murkowski, a key vote to watch as the Senate considers Kavanaugh's nomination to the Supreme Court, told reporters on Tuesday that an FBI investigation into the allegations against Kavanaugh "would sure clear up all the questions, wouldn't it?" Klobuchar says other Kavanaugh witnesses, accusers are being "shut out"
She added, "as a former prosecutor, I think you have to at least get the facts down. I think it's important, no matter what side you're on on this, whether you want him or you don't want him, don't you want to have the facts?" "We have a process in place. They have a Senate process, and we think it should be done through that," Sanders told ABC News' "Good Morning America." "No one is trying to hide from this. in fact, Brett Kavanaugh has been leaning in. He's been begging to come and tell his story and be able to do that. Whether it's publicly or privately, he's asked for that opportunity, and he's been perfectly open for others to have the opportunity to share their side as well." Sanders said that Kavanaugh has had "lifetime of a record of empowering and respecting women and have seen hundreds of women that know him and know him well come out and say exactly that."